Hezbollah is seeking the formation of a national unity government in Lebanon. It believes that the international protection enjoyed by Lebanon as a country, including from the US, will in practice also apply to it. On the other hand, the effort to form a broad government also enables Israel to clarify its demands. Israel can make the US and European governments more aware of Hezbollah’s effective control of the Lebanese political system, including the army. Israel can take the opportunity to remind them that Hezbollah is preventing any attempt to implement UN Security Council Resolution 1701. This situation also facilitates the delivery of several simultaneous messages. A warning can be indirectly transmitted, mainly via the US, to Saad Al-Hariri and other partners likely to join the government. They should be warned that in the event of escalation between Israel and Iran, violence by Hezbollah will result in damage throughout Lebanon. Decision-makers and the public in Western countries can be prepared for this possibility. Support can be canvassed for the idea that the total failure of Resolution 1701 and UNIFIL constitutes convincing proof that Israel cannot rely on international guarantees and foreign forces for its security. Operation Northern Shield, which began on December 4, 2018, was aimed against the attack tunnels dug by Hezbollah into Israeli territory. For the first time in its conflict with Hezbollah, Israel accused Lebanon of failing to halt Hezbollah’s aggression. Israel also accused the Lebanese army of cooperation with Hezbollah. Israel has threatened Lebanon that if Lebanon does not fulfill the task imposed on it by Resolution 1701, it is liable to find itself at war with Israel. Lebanon’s official response has been unclear. Many internal and external parties and variables influence its responses. These include the internal Lebanese political situation, Iran, the US, the West, Russia, the UN Security Council, and others. One of the main factors dictating caution by Lebanon under the current circumstances is the political situation in the country. Understanding this situation and its consequences requires a description and analysis of the political system, the balance of power between the main political and ethnic groups in the country, and relations between the Lebanese army and Hezbollah. 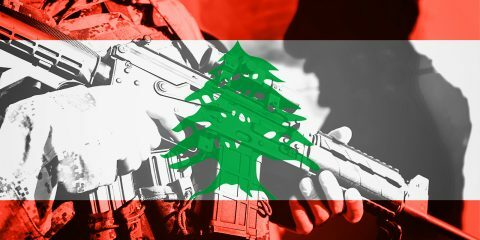 A knowledge of this situation makes it possible to understand Lebanon’s response to Operation Northern Shield in the local and international arenas. The political system in Lebanon is based on three power centers: the presidency, the parliament, and the government. Each one of these institutions is headed by a representative of one of the country’s major sectarian groups. The president is a Christian, the Parliament is a Shi’ite, and the prime minister is a Sunni. This arrangement is designed to preserve the ethnic balance in Lebanon’s governmental institutions. This arrangement is still in effect. In recent years, however, the political balance in the country has tilted more and more towards the Shi’ites, especially Hezbollah. The organization was able to form a network of political alliances with various political and ethnic groups in Lebanon, including Christians and Sunnis, thereby neutralizing and obstructing the opposing political and ethnic forces. Hezbollah’s political power is obviously based on its armed militia. Hezbollah’s arsenal is more powerful than that of the Lebanese Armed Forces, and also that of many countries in the world. Lebanese Parliamentary Speaker Nabih Berri, a Shi’ite, heads the Liberation and Development Party and the Shi’ite Amal movement. In practice, he is an ally of Hezbollah, despite the historic rivalry between Hezbollah and Amal. Lebanese President Michel Aoun, a Christian, founded the Free Patriotic Movement and formerly headed the Reform and Change bloc. He is also a Hezbollah ally with respect to “resistance.” The Druze parties also support resistance, despite the political rivalry between them. Hezbollah has successfully stymied the political power of Saad Al-Harari, a Sunni who head the Sunni Al-Mustaqbal (Future) Party. This success was achieved through a series of maneuvers that demonstrated political sophistication and flexibility, combined with reliance on its military power. One of the most significant measures is the agreement it reached with Al-Hariri for containing the political struggle. What this agreement means in practice is that Hezbollah undertook not to take military action against its political opponents in the country, as happened in May 2008. Al-Hariri undertook to refrain from public criticism of Hezbollah’s activity inside and outside of Lebanon against non-Lebanese groups classed as enemies, including the Syrian rebels, the government in Yemen, Israel, etc. This agreement is also part of the 2016 agreement between Al-Hariri and Aoun. Under this agreement, Al-Hariri supported Aoun’s appointment as president in return for Aoun’s appointment of Al-Hariri as prime minister during Aoun’s entire term in office, with Hezbollah’s support. These agreements and understandings culminated in the breakup of the March 14 Alliance, a large and effective political bloc opposed to Hezbollah and its allies. They also weakened the power of Al-Hariri and his party in the Sunni community. He became the object of criticism, complaints, and anger from Sunnis, senior figures in his own party such as former Lebanese Prime Minister Fouad Siniora, and decision-makers in Saudi Arabia, regarded as the patron of the Sunnis in Lebanon. At the same time, the agreement strengthened Hezbollah politically in Lebanon. Hezbollah gained the political tranquility it needed in order to step up its military campaign in Syria and build up its capabilities against Israel and other parties in the region. Another significant measure by Hezbollah, mainly through allies such as President Aoun, was a change in the election law. This change increased Hezbollah’s strength in the Lebanese Parliament to a virtual majority, while substantially reducing the political power of Al-Hariri, its Sunni rival. Furthermore, Sunni parties allied with Hezbollah won 10 seats in Parliament in these elections, compared with 20 seats for Al-Hariri’s party. Hezbollah is now insisting that these Sunni parliamentarians be represented in the future government. Seven months after the elections, Al-Hariri still heads a temporary government in Lebanon. Lebanese law does not limit the time for forming a government. The Al-Hariri government purports to be a national unity government. As such, it bestows legitimacy on Hezbollah and prevents Hezbollah’s political rivals who are members of the government from criticizing it. The balance of power in the government will reflect the balance of power in Parliament, where Hezbollah and its allies have a majority. 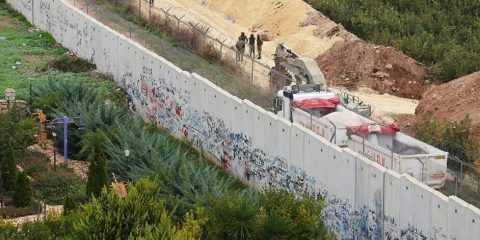 After Israel discovered the tunnels, it directly accused Hezbollah and Lebanon of responsibility. Lebanese Minister of Foreign Affairs Gebran Bassil, Aoun’s son-in-law and successor as party leader, immediately responded that he hoped that the result would be the rapid formation of a government that would enable Lebanon to meet the challenges. Al-Hariri has a range of motives for supporting these agreements and arrangements. He wants to be prime minister, but he has major financial difficulties. He wants to ensure control by him and his party of Lebanon’s economic and monetary systems, even at the cost of Lebanon’s sovereignty and his principles. Saudi Arabia’s effort to dissuade him from the agreement with Hezbollah and Aoun failed. 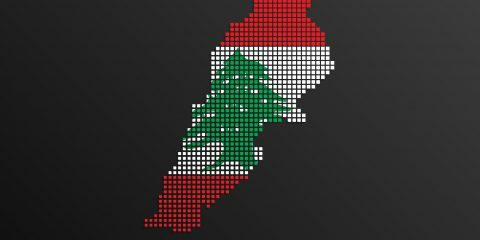 The outcome of the struggle between Al-Hariri and Hezbollah also greatly affects other actors in Lebanon, such as the Lebanese Forces, which are moderating their criticism of Hezbollah. The Shi’ites are the politically strongest ethnic group. The two Shi’ite parties, Liberation and Development (Amal) and Hezbollah, cooperate closely. An opposition exists, but it is weak and fearful. The Christians are divided between two main parties: the Lebanese Forces and Reform and Change. These two parties allied with each other two years ago, resulting in the appointment of Aoun as president. This alliance has been through many crises, however, and the chances of it achieving real unity are poor. The Sunnis are divided between Al-Hariri’s party and several small parties that jointly represent about a third of the Lebanese Sunnis. The Druze are also divided between two main parties dominated by the and Arslan families. President Aoun, the commander-in-chief of the Lebanese Armed Forces, has a positive attitude towards the military wing of Hezbollah, provided that it does not use force in internal Lebanese affairs. Resistance to Israel is described as a joint goal of Hezbollah and the Lebanese army. In principle, Aoun favors a defensive military response by both the Lebanese army and Hezbollah to an Israeli incursion into Lebanese territory. This includes territory disputed by the parties, such as Shebaa Farms, the northern part of Kfar Ghajar, and Kfar Chouba. Aoun has expressed no opposition to date to Hezbollah’s offensive military operations outside Lebanon in Syria, Iraq, and Yemen, or to Nasrallah’s declaration of his organization’s intention to conquer the Galilee. The Lebanese army also collaborates with Hezbollah both passively and actively. 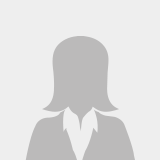 For example, the Lebanese army has not dared to appoint a chief military intelligence officer for southern Lebanon without Hezbollah’s consent. 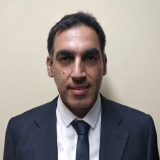 One officer who served in this position, Abbas Ibrahim, is the current chief of Lebanese general security, a Lebanese security force with close ties to Hezbollah. The Lebanese army and Hezbollah collaborated in the fighting against Jabhat Al-Nusra, a Syrian rebel faction that conquered Lebanese territory. The Lebanese army attacked Jabhat Al-Nusra from Lebanese territory in the west, while Hezbollah attacked from Syrian territory in the east. The Lebanese army and Hezbollah’s forces collaborate against Sunni terrorist squads in Lebanon. Lebanon’s army and security forces allowed Hezbollah fighters to cross the border in order to fight in Syria and to return to Lebanon without interference. However, they arrested Lebanese Sunnis who joined the Syrian rebels and returned to Lebanon. Hezbollah aided the Lebanese army in a clash with the IDF in Kfar Al-Adisa in 2010. Lebanese army units visit a Hezbollah monument and museum in Mleeta. 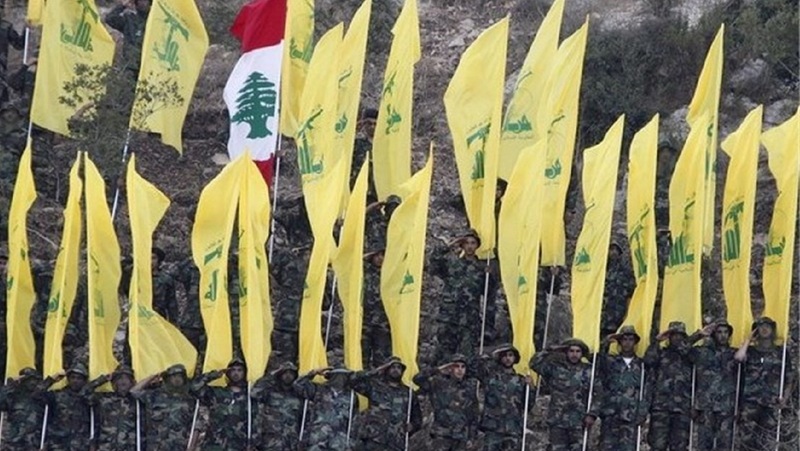 Many Sunnis, especially in the north, accuse Lebanese army intelligence of collaborating with Hezbollah. The political and military situation portrayed here leads to the conclusion that Hezbollah now exercises direct and indirect control over Lebanon’s governmental and military systems and the important decisions made by them. In many respects, Lebanon has become a tool in the hands of Hezbollah. Lebanon’s ability to respond independently against Hezbollah is being increasingly constricted, although this situation is liable to cost the country dearly. Lebanon was never capable of taking military action against Hezbollah. Hezbollah’s political opponents are aware of the Lebanese army’s inferiority. They remember how Hezbollah used its military power against the government and Al-Hariri in May 2008. Hezbollah invaded Beirut, while the Lebanese army stood aside and took no action to defend the state and its institutions. There can be no doubt that these events, together with the 1975-1990 Lebanese civil war, are deeply engraved in Lebanese public consciousness, especially among Hezbollah’s opponents. They prefer to avoid risking a military conflict or another bloody civil war that they would surely lose. Despite their fear of its military power, Hezbollah’s enemies maintained the ability to oppose it politically until two years ago. The above-mentioned arrangements that made Aoun president and Al-Hariri prime minister, however, neutralized this option. One example of this was Aoun’s response to the statement by Al-Hariri and his faction about the Israeli operation against Hezbollah’s tunnels. Al-Hariri and his allies indirectly criticized Hezbollah, saying that Lebanon was committed to Resolution 1701 banning any military activity by any party whatsoever south of the Litani River, except for the Lebanese army. They did add that Israel should stop violating Lebanese sovereignty. Parties in Lebanon assert that under pressure from Hezbollah, which did not like Al-Hariri’s statement, Aoun tried to retaliate against Al-Hariri. Aoun declared that he would demand that Hariri form a government on short order under the threat of having Parliament depose Hariri as prime minister. Christian leader Samir Geagea is an exception in this matter. He declared that if the accusations were true, the government should officially demand that Hezbollah halt any action jeopardizing Lebanon. He wanted the government to send Hezbollah a message that the Lebanese government had exclusive responsibility for military and security decisions. However, although his party, the Lebanese Forces, doubled its parliamentary representation in the recent elections from eight to 15 seats, his political power is still limited. He is unable to do much without the help of the Sunni Al-Mustaqbal party. Geagea is also unwilling to attack Hezbollah now as he did in the past because he wants to become president. A significant political opposition to Hezbollah, or at least political criticism of it and popular resistance to it, can occur if the system of agreements and understandings between Aoun, Al-Hariri, and Hezbollah is dismantled or substantially eroded. This could happen if Al-Hariri does not form the next government, or if the next government falls apart for some reason. Hezbollah and Aoun, however, will do everything they can to prevent this. Their strong interest in presenting an image of unity can give the Al-Hariri faction, a means of restraining Hezbollah, however limited, in its response to Israeli action, should exceptional events occur. The same thing is true, albeit indirect, for all supporters of stability in the region, including Israel. As in the political arena, the Lebanese response at a state level is affected by Hezbollah’s defensive alliances and agreements. President Aoun and Foreign Minister Gebran Bassil, who run Lebanon’s foreign policy, in all probability have no desire for a military conflict with Israel. Such a conflict will severely damage Lebanon and its economy. On the other hand, they are making no real effort to restrain Hezbollah, as demanded by Israel, the US, and the Security Council. Lebanese daily Al Akhbar quoted Western diplomatic sources as saying that Lebanon had refused a request from Israel via the US to order its army to examine the tunnels in Lebanese territory. Lebanon will provide Hezbollah with cover from the West and the Security Council. It will try to put Israel on the defensive by alleging that Israel is violating Lebanese sovereignty and Resolution 1701, thereby disavowing responsibility for Hezbollah’s actions south of the Litani River and in Israeli territory. Aoun previously refused to assume responsibility for Hezbollah’s armaments, saying that the arms were regional in character and required a regional solution, meaning a solution with Iran. Aoun nevertheless seems to be pinning his hopes on the Western and American umbrella that has covered Lebanon since the civil war began in Syria. This umbrella was aimed at protecting Lebanon from involvement in any war whatsoever. The West has no interest in the outbreak of another war in the Middle East. Such a war will result in another wave of immigration to Europe by Lebanese and Syrian refugees living in Lebanon. Furthermore, the US has strong and firm connections with the Lebanese army. Aoun also believes, with justification, that the European Union will not agree to classify the political wing of Hezbollah as a terrorist organization. He is relying on the West refusing to allow any significant change in Security Council Resolution 1701, such as invoking Section 7 of the UN Charter, which provides for the imposition of sanctions. The West fears that Hezbollah and its supporters in southern Lebanon will take revenge on Western soldiers participating in the UNIFIL forces. Aoun will also not agree to such a change, and without Lebanese approval, the UNIFIL forces will have to leave the area. Aoun will again attempt to evade responsibility for Hezbollah’s weapons and offensive actions. He will dissemble and let the matter ride until the next crisis. As long as Lebanon is covered by the Western umbrella, he will be able to avoid responsibility. There are other possibilities, however, that he must consider. A major attack on Iran will certainly draw a response from Hezbollah. From there, it is a very short road to Lebanese involvement in a war with Israel. The political and military situation in Lebanon makes it clear that Lebanon has neither the desire nor the ability to properly address Hezbollah’s threat to its sovereignty. Lebanon is doing nothing, despite the severe damage that it will suffer in a war against Israel. Only international pressure and an abrupt change in American policy can sharpen Lebanon’s dilemmas, and undermine the political structure that Hezbollah has been able to impose on the country in recent years. Israel can play no direct role in this. It shares an interest with other players in the region, however, in taking diplomatic action, especially in US Congressional and European arenas. Discovery of the tunnels should be used to highlight the complete failure of the existing mechanisms for dealing with the problem. Over the past year, Hezbollah gave notice of its intention to take over Lebanon’s economic and monetary systems. 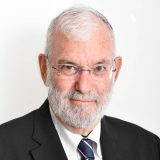 See Simon, Elisheva, “On Hezbollah’s Intention to Seize Control of the Economic and Monetary Systems in Lebanon,” JISS, November 23, 2018, https://jiss.org.il/en/simon-on-hezbollahs-intention-to-seize-control-of-the-economic-and-monetary-systems-in-lebanon/. On December 10, 2018, during the IDF’s work on locating the tunnels, Lebanese army soldiers aimed their weapons at Israeli soldiers, whom they alleged had entered Lebanese territory. Aoun wants to be remembered as a president who labored on behalf of Lebanon’s welfare, independence, and sovereignty. Lebanon’s international debt totals over $80 billion. The country is in dire economic straits, and a war against Israel will push it towards total collapse.